Orlando, FL (April 12, 2019) - The IWWF World Waterski Council has officially approved Patricio Font’s World Record during the 2019 Nautique Moomba Masters event in Melbourne, Australia. The World Record was set during the Junior Boys Trick division, with the record-setting Ski Nautique providing the perfect wakes for Patricio Font to perform his best. Hailing from Mexico, Font broke the record not once, but twice during the event. In the early rounds of the Junior Moomba Masters, Patricio broke the World Record with a trick score of 11,050 until he broke it again during the main event with an approved score of 11,090. 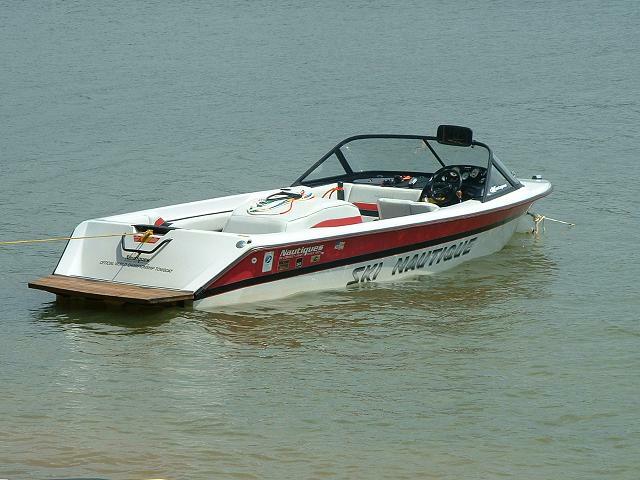 This is the second time that Font has broken the World Record behind the Ski Nautique. Back in August of 2018, Patricio Font earned a score of 10,790 during the IWWF Junior World Championships and earned himself a World Record. “Congratulations to Pato on the official approval of his World Junior Boys Trick Record,” stated Nautique President Greg Meloon. 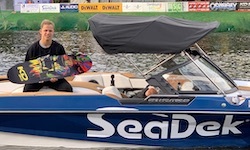 “The 2019 Ski Nautique’s perfect wakes provides waterski athletes the best opportunity to break records and set personal bests, and we’re pleased to see another World Record broken behind it!” Meloon added.